We thank all of our sponsors, media partners and consultants for their generosity and dedication to our mission. They support us; we encourage you to support them. Irish Manufacturing Research is an independent RTO (Research & Technology Organisation) focused on delivering Productivity and Industrial Energy Efficiency solutions to Industry. Our passion is to make Ireland a world leader in advanced manufacturing operations for both SME/indigenous companies and for multinational corporations based throughout the island. We want to ensure the continued competitiveness of Ireland’s manufacturing industry and its ability to grow turnover, profitability and employment through development and deployment of leading edge technologies in areas such as Robotics, Optimisation, Scheduling, Additive Manufacturing and Industry 4.0. Dublin-based Premier Events was founded in 1995. The company specialises in business to business events with a focus on the food manufacturing industry and publishing business to business journals for specific industrial/market sectors including food and drink production. The company’s flagship publication is Food & Drink Business Europe, a monthly business magazine for the food and drinks processing industries in the UK and Europe. Food and Drink Business Europe is the magazine most read by senior management in the UK food and beverage manufacturing industry which is read by over 24,700 senior decision makers in the UK Food and Beverage Manufacturing. 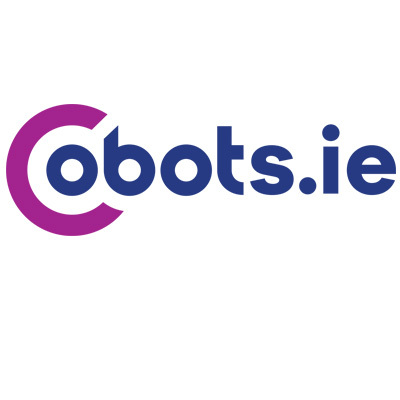 Cobots.ie is the leading expert and longest established distributor in Ireland for Collaborative Robots, Accessories and Automation Solutions having many years experience in robot integrations, robot automation and fixtures. Their award winning core team have their roots in mechanical design & build engineering and were the first in Ireland to put one of the world’s leading Cobots, URseries by Universal Robots into action. From helping Manufacturers choose the correct collaborative robot to picking end-effectors, vision tools and accessories, they deliver everything you need, consultation, installation, training and support included, to create a perfect Industry and application specific bespoke solution. Ireland’s inaugural Manufacturing & Supply Chain Awards are the first of its kind to focus on the production & manufacturing Industry. By becoming a sponsor, we can take your brand and put it before the primary decision-makers in the sector. We have a variety of sponsorship opportunities available, and we will work with you to create unique activations that ensure guests don’t just see your logo but experience your brand. Why not host a branded VIP table at the awards, invite clients and network with key players in the industry. Are there key sectors you would like to meet? A member of our guest management team will work with you to enhance the relationship and invite guests to your table. Contact Tracey Carney on 01 6120880 or tracey@prempubevents.com and your company can benefit from 10 months of exposure to the manufacturing industry.